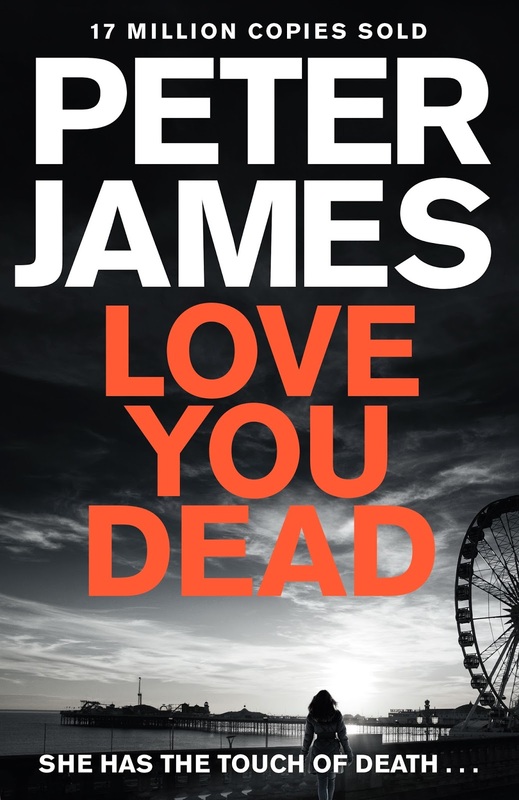 Peter James joins us today from the UK to match his new book, Love You Dead, with a very special vodka martini. 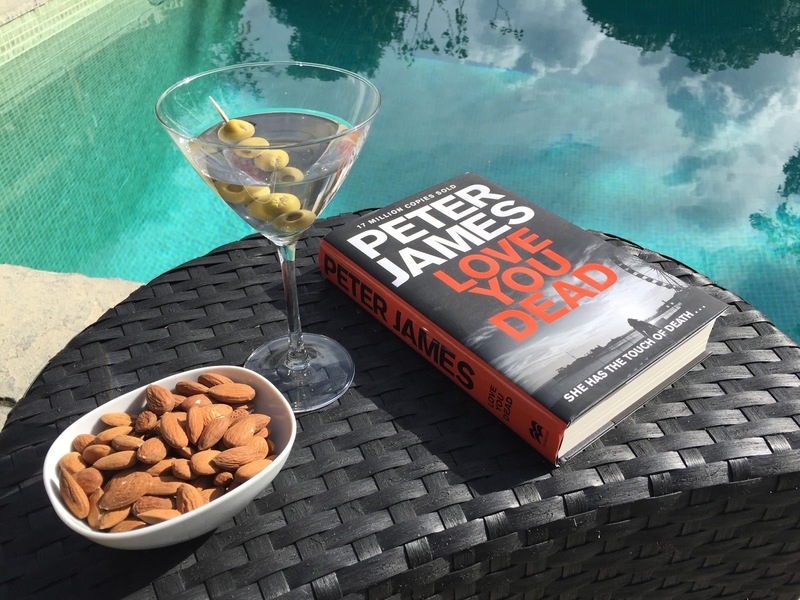 And there's actually a triple Vodka Martini connection to the book. Firstly, it is the favourite tipple of my central character, Detective Superintendent Roy Grace. Secondly, when the protagonist of the story, Jodie Bentley, meets her next target, wealthy Walt Klein, in a bar in the Bellagio in Las Vegas, he is happily knocking back martinis – rather too many for his own good, as he lets his guard down a little too much. And thirdly and most importantly, it is my own favourite tipple! The novel opens in the smart French ski resort of Courchevel. Jodie is with her latest catch, financier Walt Klein, who she met while he was drowning his sorrows on Vodka Martinis. Walt, new to the resort, is looking forward to a day’s skiing with Jodie, who has been there before, to guide him. But Jodie has other plans – rather dark ones, plans which if all goes well, don't include Walt living for many more hours. It was one of my favourite authors, Ernest Hemingway, who allegedly said, ‘Write drunk, edit sober…’ and another of my favourites, Raymond Chandler, famously took that to extremes, pretty much binge drinking himself to death. I know many current writers who never touch a drop of alcohol until their day’s work is done, but equally I know several global best-selling authors who have a rocket-fuel boost to their work – either massive doses of caffeine, or booze, weed or cocaine. 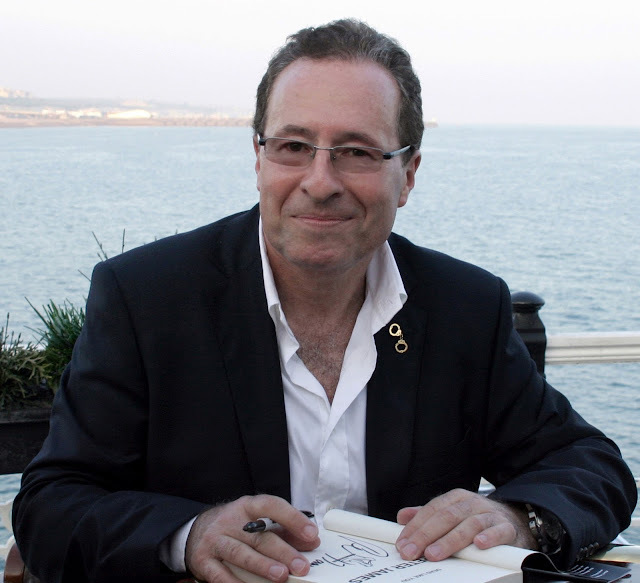 My own writing day is back-to-front – I made a “me-time” for writing in the days when I worked full-time in film and television, and that was 6-10pm at night, and that today is still when I do my best writing. My sessions start with a ritual, and that is making my Martini. The whole process kicks some Pavlovian creative response off in my brain. And of course that first, delicious, ice-cold bite – and kick. The key is not to have too much – these are truly powerful cocktails! One sip, music blasting from my speakers – Van Morrison or maybe the Kinks, and I’m hammering away on the keyboard as happy as Larry. Secure the top carefully then shake hard for thirty seconds and pour into glass. Now you have a choice. A twist or with olives – or both. My taste alternates! Peel a thin strip of rind three inches long, and drop into the glass. Cut a lemon wedge, make an opening in the centre, and run this all the way around the rim of the glass on both sides. Spear four olives with cocktail stick and place in glass. For the combo: The four olives as above, but wipe the rim of the glass with a wedge of lemon.